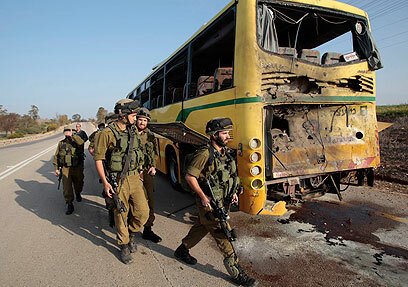 Daniel Viflic, who was hit by an anti-tank missile fired at a school bus in the Negev 10 days ago has died of his wounds. The 16-year-old has been fighting for his life in the Soroka University Medical Center in Beersheba since the terror attack. His condition deteriorated last week. Daniel's father, Yitzhak Viflic, who sat at his son's bedside in his final hours, said "I would like to thank all those who prayed for us and supported us from around the world. I just ask that we are left in peace. Daniel struggled for his life and was calm when he passed away." The father also expressed his gratitude to the hospital staff, who struggled to save his son's life until the very end. "We cannot control life and death. I am certain that Daniel is in a better place," he said. Chief of Pediatric ICU at Soroka Medical Center, Professor Shaul Sofer, said: "Unfortunately Daniel passed away this afternoon. We were not surprised by his passing – he arrived in critical condition, and within a short time his brain stopped functioning. "Because of the sensitive nature of the case, we continued to give him the best medical care, although objectively we knew that his brain would not recuperate," he added. According to Sofer, "Daniel arrived at the hospital without blood pressure, after being resuscitated. He suffered from shrapnel that penetrated his brain, and had subsequently stopped breathing, which prevented oxygen from reaching his brain." Sofer added that after receiving the initial brain scans it was clear that he suffered a critical injury that was irreversible. 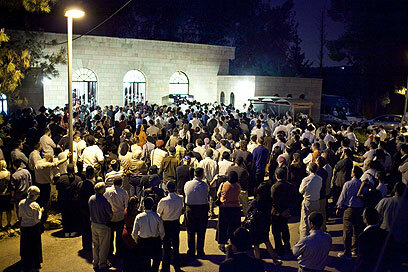 Hundreds of people attended Daniel's funeral on Sunday night in the outskirts of Beit Shemesh. "It's hard to believe he's not here. I thank all those who came and all the support from the religious and seculars alike, even from Arabs and Bedouins. It’s not thanks to us, it's because Daniel was an exceptional child," his father Yitzhak said. Benny Chen, who knew the family from the time they lived in Hong Kong said: "The father met the mother in Hong Kong where she converted to Judaism and made aliyah out of love for the Land of Israel. They came here to set up a family and raise their children in Israel. Daniel and his sister were their only children. Zion Yemini, the driver of the school bus which was hit was devastated to hear the news of Daniel's death. "This is very bad news, I so hoped he would stay alive," Yemini said Sunday. The driver himself was also hit by the missile. He said he will never forget the minutes following the attack. "I reacted instinctively. I stopped the bus ans swerved it sideways. There was an incredible shock wave, I thought I was going to pieces. I put Daniel on me and slowly stepped off the bus. I laid him gently by the road, I wanted to stay with him but they wouldn't let me." Yemini has yet to drive again. "I have pain in my ears and ribs. I have nightmares and reoccurring flashes when I close my eyes. I still see wounded Daniel and how I tried to help him." 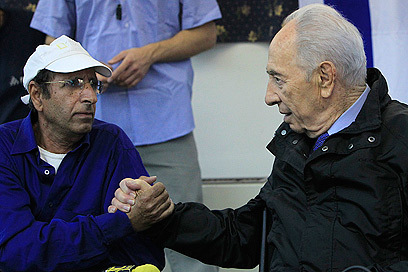 President Shimon Peres visited the southern communities last week and met with Yemini who told him how close he was with Viplic and the children. See all talkbacks "Teen hit by anti-tank missile dies of wounds "